Wanna make body ornament for the coming summer? If yes, you can never miss today’s Pandahall tutorial on how to make simple aluminum wire flower body ornament! 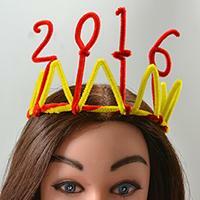 Love chenille stem crafts? If yes, i will share you how to make hair ornaments in today’s Pandahall tutorial. Hope you like it. 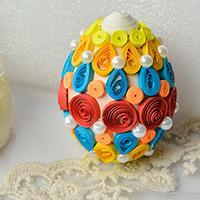 Do you love quilling tutorials? I guess yes! 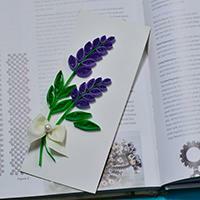 So in today's Pandahall tutorial, i will share you how to make easy Christmas cards with quilling paper. Hope you like it. 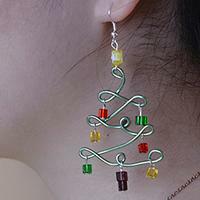 In today's Pandahall tutorial you can learn someting about how to make Christmas tree earrings, which won’t let you down, I promise! 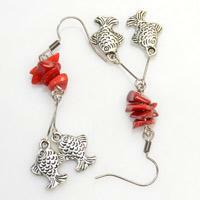 How to make simple beach style earrings out of red coral beads and silvery fish pendant? This tutorial is to show you the detailed instructions with clear photos. Want to make Native American beaded hoop earrings? 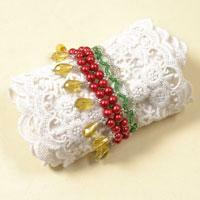 My tutorial is to show a simple way to make them with 4-colored seed beads. 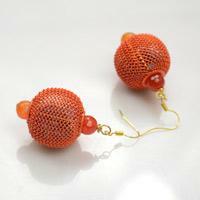 The earring tutorial is to show you how to make ball earrings with mesh beads and shell beads. 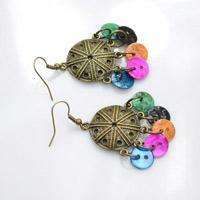 Hope you enjoy this lantern-like earrings pattern. Here is a fun bug pattern for kids’ crafting. 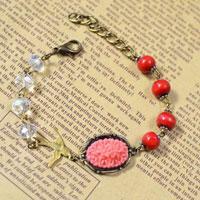 The tutorial will show the details about how to make beaded bug with colorful beads. 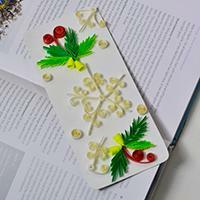 Want to decorate your cellphone with some chic charm? 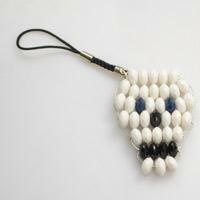 This tutorial shares you a cool beaded skull pattern. Learn it now! 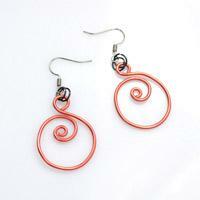 This tutorial will teach you a simple way to make distinctive Chinese red spiral earrings with aluminum wire. 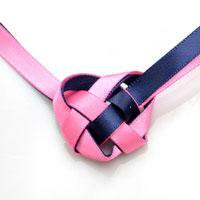 This is a tricky but also easy macrame project on how to make a Celtic heart knot for your necklace. All things needed two strands of satin ribbon and 10 minutes. 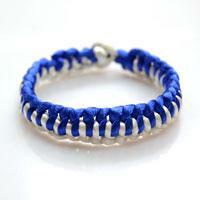 In this tutorial, we are going to make a seed bead ring. It may help you if you need a gift for your boyfriend/girlfriend. If so, this gift will be very significant. So do you want to make it? In this tutorial, we will tell you how to make a flower and gold owl necklace. It is relatively sweet. 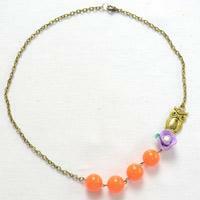 And it can be your great Halloween jewelry.